There was no Match 4 winner of the Club Lotto on Friday, 15th March when the numbers drawn were 3, 11, 19 and 24 so next week, the jackpot goes up to €7,000. This is the first time we have crossed in to the €7,000 zone. If you’re not already signed up please do so as not only are you in with a chance to win a serious Jackpot but you are also helping support your local club. It is €2 per week but goes a long way towards running all the facilities that we have. John Walsh wins the Lucky Dip and will receive €25. Further details are available at www.brayemmets.com. Three goals by David Finn and an injury-time goal bound block by half back Des Kelly helped Bray overcome St Patrick’s by 3-08 to 1-13 in their Division 1 League game in Bray on Friday night. In blustery conditions both sides were guilty of some early untidy play. However, much to Bray’s credit they continued to carve out chances and finished the half leading 1-06 to 0-03. By this stage Mark Lennon was operating in the half forward line and in a man of the match performance was giving the Pats defenders a torrid time. Finn’s second goal and a Niall McGraynor point deservingly had the home side in the ascendancy. There were some impressive performers for Bray on the night particularly in young centre back Daire Lohan and corner back Mark Lenihan. 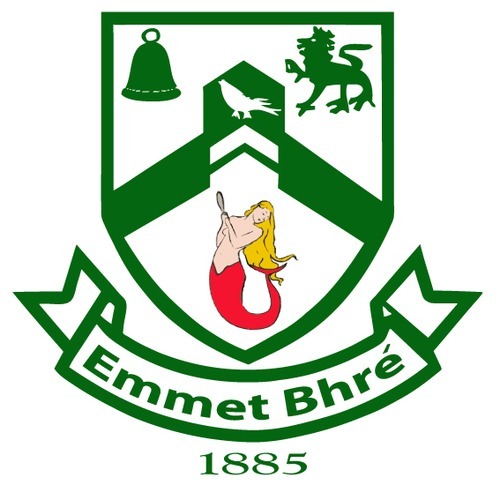 Bray Emmets: Paul O’Keeffe, Cormac Martin, Conor Power, (Geoff Morrissey) Mark Lenihan, Ross McAnaspie (1) (Lee Brandon), Daire Lohan, Des Kelly, Luke Benson, Ronan Cunningham, (Mark Nolan) John O’Keeffe, Johnny Kinch (1) Stephen McNicholos, (Conor Flannery (0-1)) David Finn (3-0), Niall McGraynor (0-3), Mark Lennon. The U14 footballers qualified for the next group stages of the 2014 Football Feile by comfortably winning their group yesterday in Ballinakill in fine but windy conditions. Eleven teams registered for the competition and Bray Emmets were drawn in Group 2 with Derry Gaels and AGB. Their first match was against Derry Gaels. Early goals from Ben Kearney and Mick O’Gara got the team off to a great start and they never looked back after that. They ran out comfortable winners on a scoreline of 7-9 to 0-1. In the match vs AGB Bray Emmets. They played their best half of football of the day during this period moving the ball at pace and putting togethor some fine passing movements. The match finished 4-11 to 1-1 in Bray’s favour. Every player in the panel for the day contributed to fine performance. 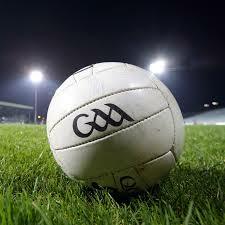 We will train twice this week before the next round next Saturday in Ballinakill. The U14 hurlers faced Oliver Plunketts on Wednesday night, 12th March in Páirc Emmet Bhré. It was Brí Chualann who drew first blood with Rory Lambe scoring a self-assured goal. Fine points followed from the all-action Andrew Conway and Joe Phelan. The second-half began on an even keel, but the momentum was leaning in favour of the visitors. The final whistle saw Plunketts four points to the good. 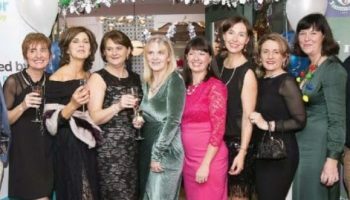 Beidh an chéad cluiche eile againn i gcoinne Erins Isle i gceann coicíse. Foireann : Cian Lohan, Macdara Ó Midheach, Lochlann Dougan, Donnchadh Griffin-Carroll, Ciarán McKay, (Captaen, 0-1), Gavin Henderson, Sid Hunt, Ronan McMahon, Ben Kearney, James Anders, Tony Jackson, David Maloney, Joe Phelan (0-1), Rory Lambe (1-0), Andrew O’Brien, Andrew Conway (0-3), Michael Timmons, Seán McDonagh. Bainisteoir – Séamus Phelan. Bray Emmets are running a “Talk on Nutrition for young players”. This is a chat for parents on suitable nutrition for young players aged 10-14 . The talk, which will be roughly an hour, is on in the club house starting at 8.30 on the25th March, all are welcome.